Fagus, (Nothofagus gunnii) is Australia's only winter deciduous tree, and is endemic to Tasmania. It has a brilliant autumn display - changing colour from rust red, to orange, gold and brown. Some of the most spectacular fagus displays can be found around Tasmania's alpine areas such as Cradle Mountain and Mount Field National Park. 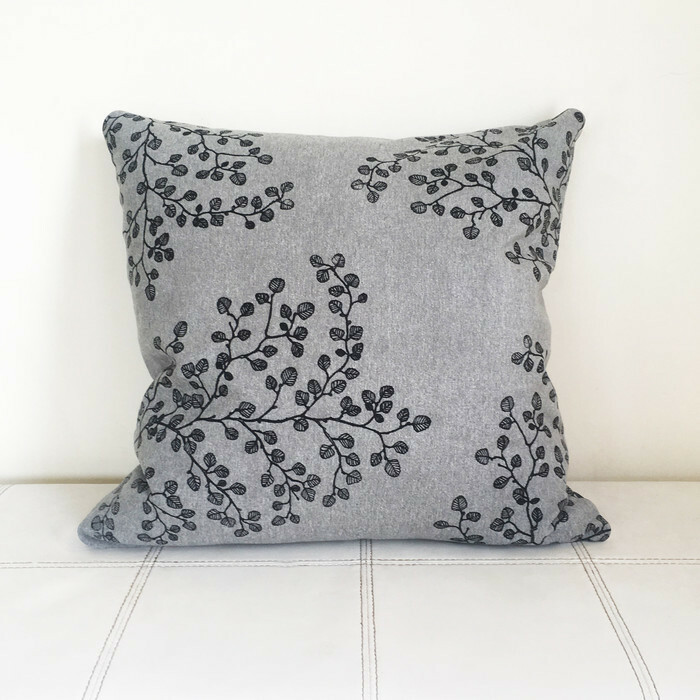 The print on this cushion had been created from my hand drawn illustration of this beautiful tree. The ink used is white Permaset Aqua, which is water based and environmentally friendly. 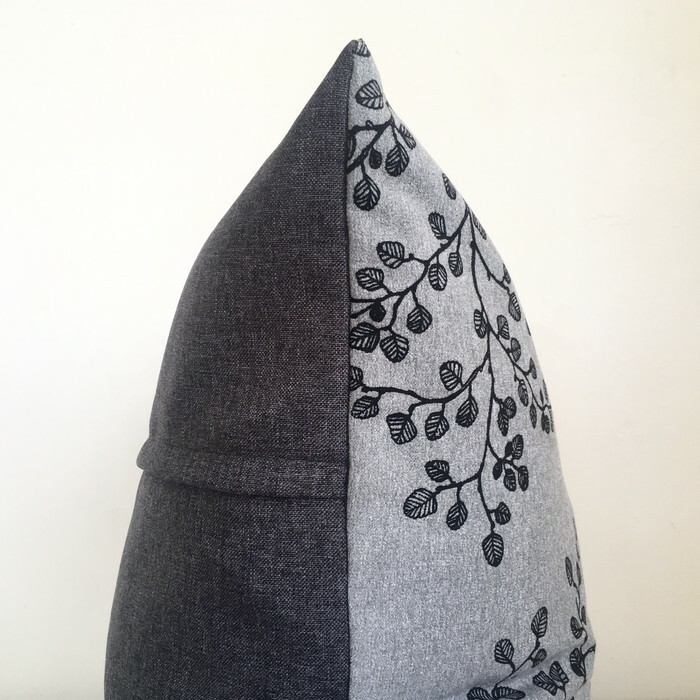 The front of the cushion is a 'brushed grey' upholstery grade fabric and the reverse side is also upholstery grade 'woven steel' fabric with a concealed YKK brand zipper. This listing is for a cushion cover together with a quality duck feather insert. Free postage is available to Australian customers. Designed, hand printed and made in Tasmania. Your purchase will be posted within 48 hours.